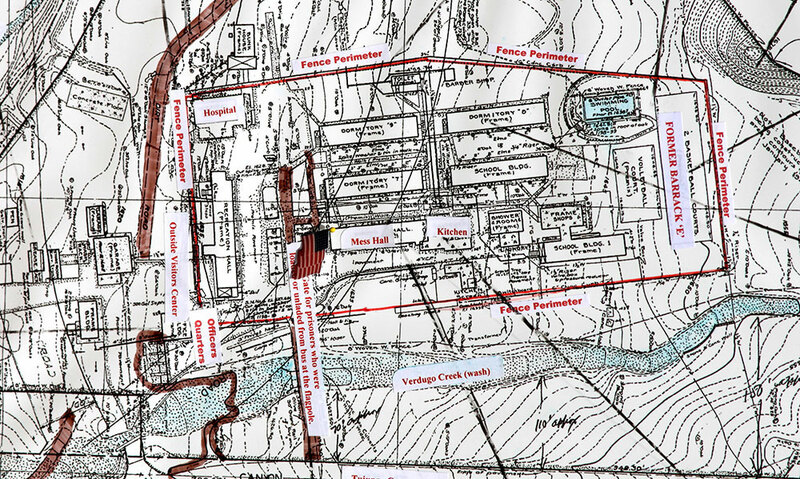 This map tells us where each building used to be when the site was the Tuna Canyon Detention Station from December 1941 – October 1943. A diorama and virtual tour was produced by Michiya Nakajima of LA Tatemono based on these details for the traveling exhibit named, “Only the Oaks Remain”. Later, the land was leveled and cleared for its use today, the Vedrdugo Hills Golf Course. During the hearings with the Historic Cultural commission and the Planning and Land Use Management, the lack of buildings were an issue. By June 2013, Councilman Richard Alarcon and his chief deputy, Gerald Gubatan, were successful in passing the motion to name Tuna Canyon an Historic Cultural Monument.